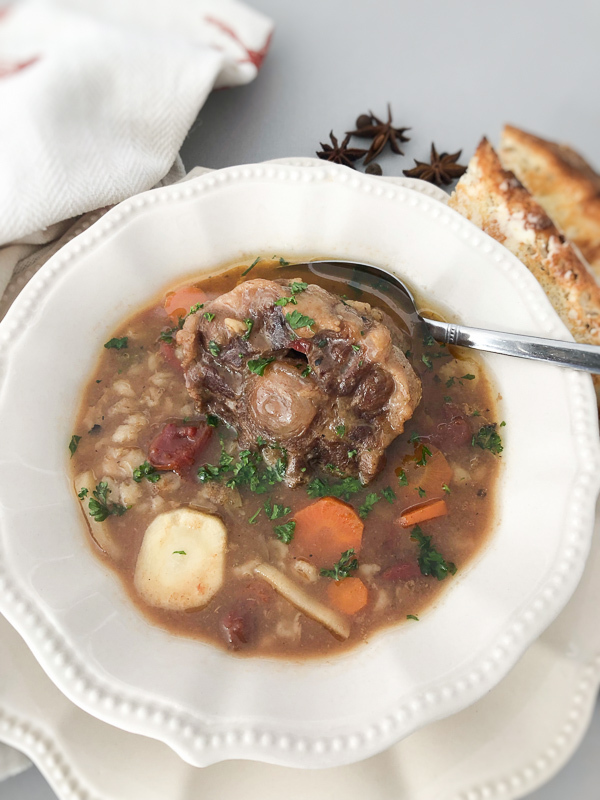 Slow Cooker Oxtail Barley Soup is a rich, hearty, flavorful way to fill up on a cold winter day while enjoying the health benefits of bone broth. The photos for this post were taken with my iPhone. Would you like to be able to take great photos with your smartphone? 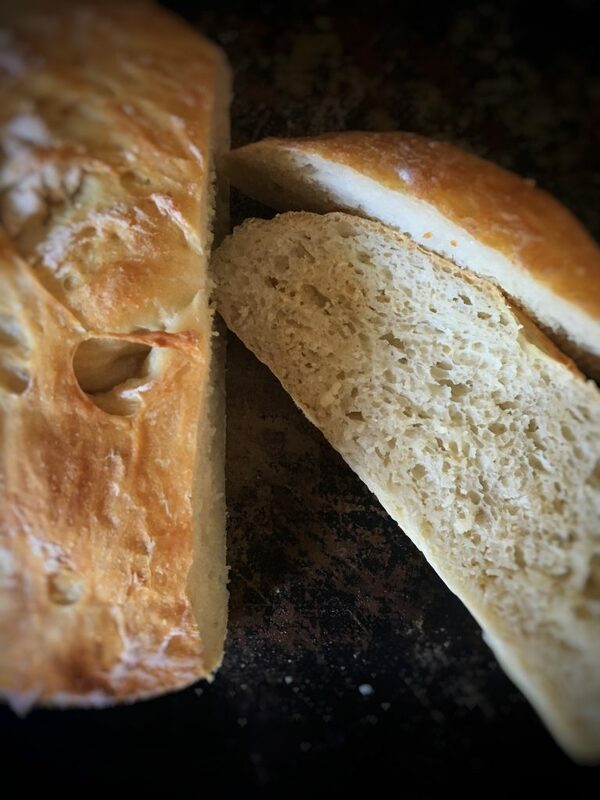 Click the bread photo to get my FREE Better Photos with Your Smartphone mini-email course. Food history interests me. 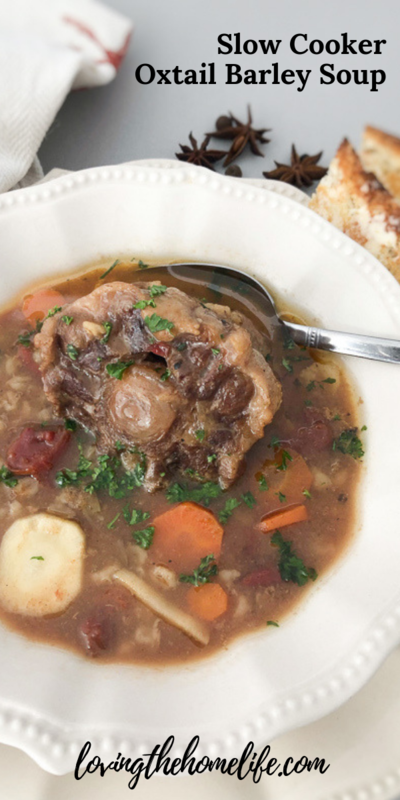 Oxtail soup is a fairly recent addition to the American food lexicon. I’m surprised to learn what I thought is an old British soup is also fairly new to the Britons as well. Oxtail soup only goes back to the late 17th century in Spitalfields in London where it was prepared by French Huguenot and Flemish immigrants. Since there are also Korean, Indonesian, and Chinese versions of this soup, I think it’s been around a long time. Just not in European culture. But it’s here now, and I’m so glad. 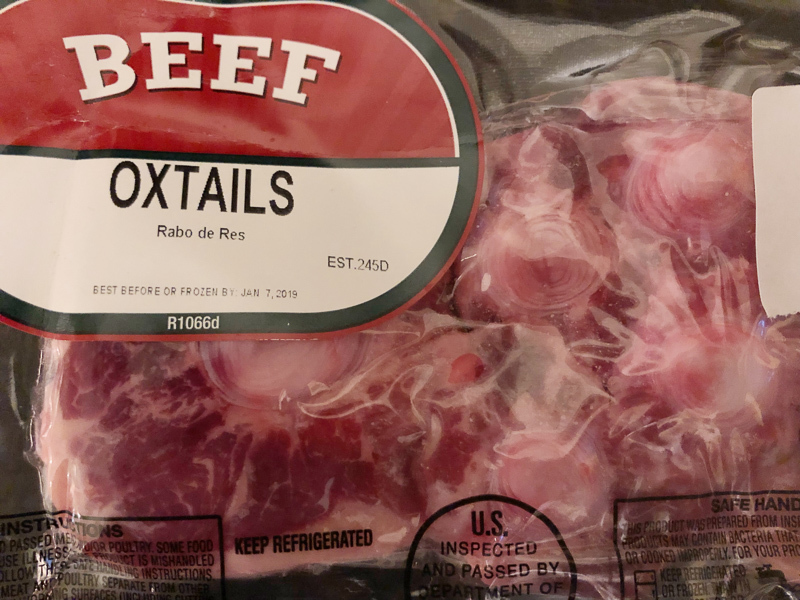 Oxtail soup’s main ingredient and namesake is the tail of cattle. The tail comes from all kinds of cattle, not just the ox. So it’s a bit of nomenclature. 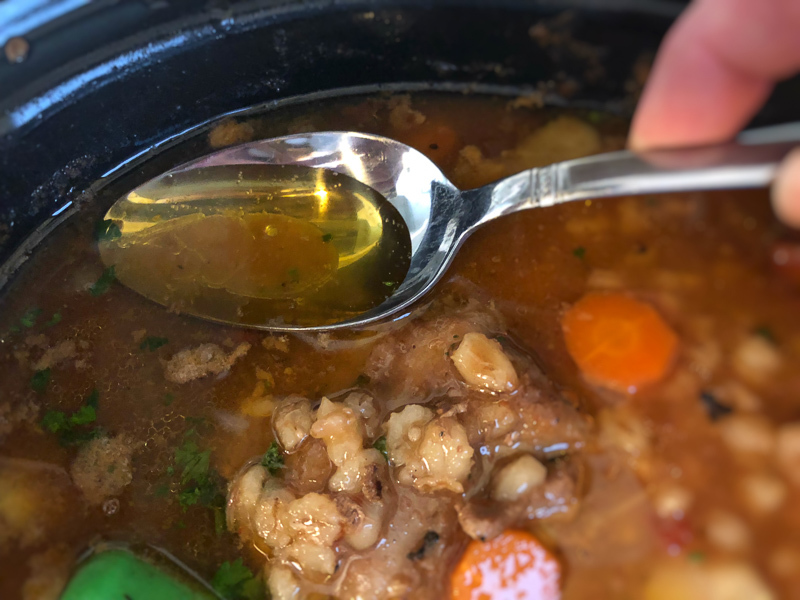 What I like about slow cooker oxtail soup is that it provides not only a hearty, rich soup, it provides the health benefits of bone broth. Oxtail contains a lot of bone. 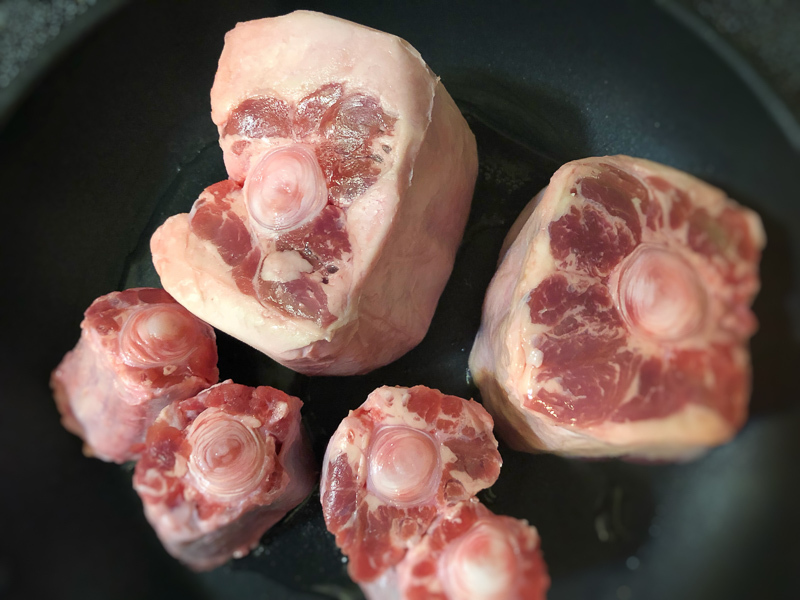 Wellness Mama Katie Wells (my favorite health blogger) says slow cooking oxtail with an acid (provided in this recipe by tomatoes) releases the minerals, collagen, and amino acids. These elements are wonderful for your own bones, skin, hair, nails, and joints. 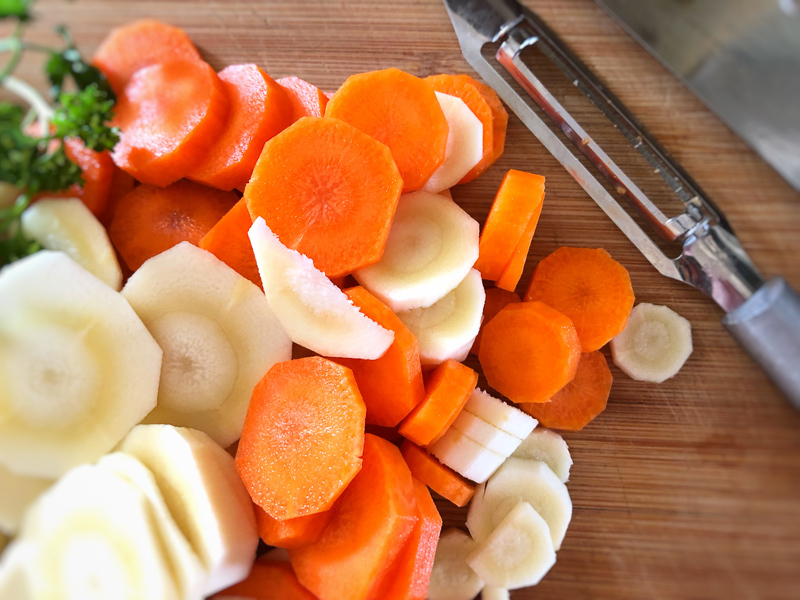 Bone broth can heal your digestive system. It enhances the absorption of nutrients. 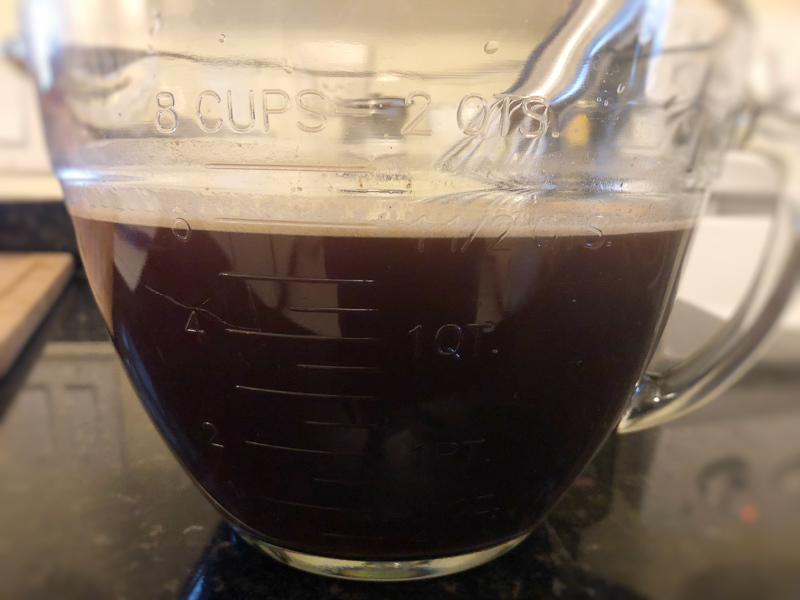 The amino acids in bone broth help the body make collagen for maintaining joints, proper kidney function, and more. And this recipe I created tastes amazing. Whole allspice is my go-to seasoning for homemade beef stew. 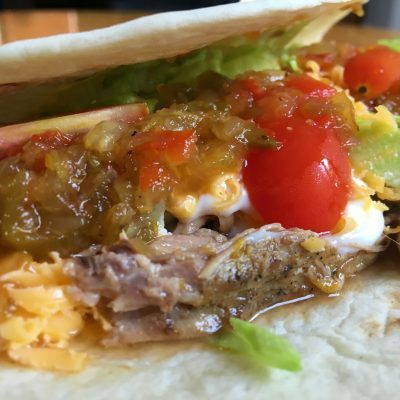 It adds a warm, savory hint of spice that complements beef perfectly. 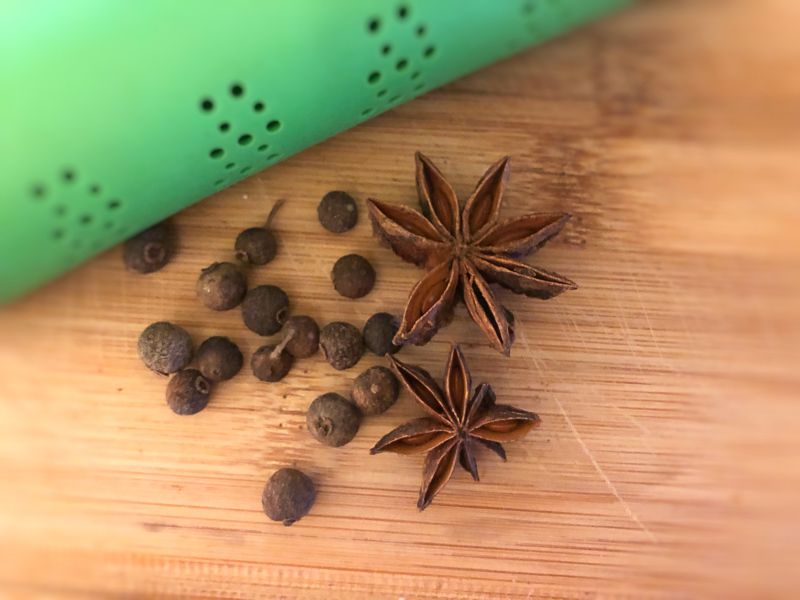 Recently, I ordered some whole star anise for experimenting with creating a relaxing before-bed hot drink other than chamomile tea or hot chocolate. Whole star anise is also a beautiful food styling prop for food photography. Anise is a spice I’ve avoided for a long time because anise is what flavors black licorice. I can’t even stand the smell of black licorice. On a cruise 10 years ago I enjoyed a salad made with fennel. 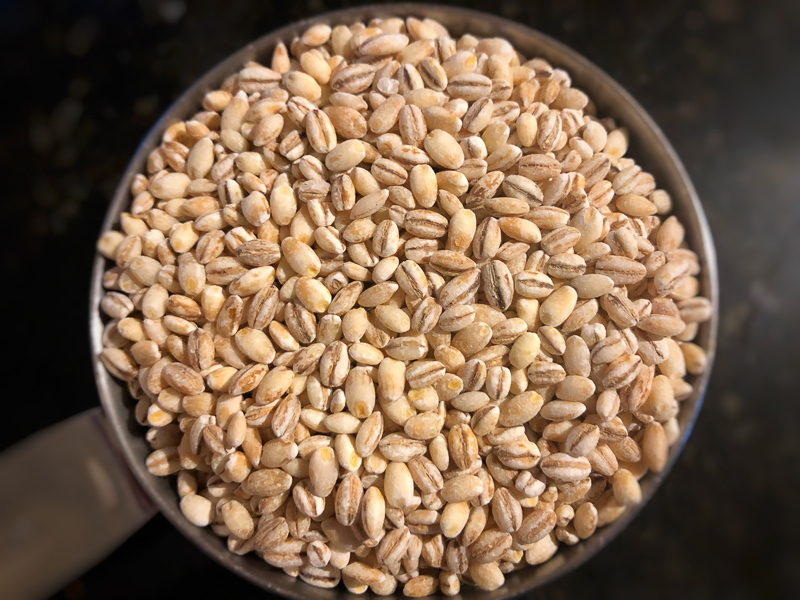 Fennel has a mild anise flavor and it is incredible. So my problem with anise isn’t the flavor, it’s the flavor served too strong such as in black licorice. Opening the package of whole star anise is a joy in fragrance. Give it a try. It’s a spice beautiful to look at and it has a wonderful fragrance. Whole star anise adds a delightful note to Slow Cooker Oxtail Soup. Heat oil in a skillet over medium heat. Brown the oxtails and stew meat and place them in a slow cooker. Then add the rest of the ingredients. Place the herb/spice diffuser with spices into the soup. Cook Slow Cooker Oxtail Barley Soup on high for about 4 hours. Then turn the heat to low and let it cook until you’re ready to enjoy it in the evening. 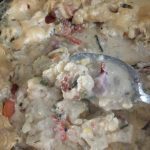 Before serving, you may want to use a spoon to skim some of the liquid fat from the top of the soup. If you like fat, leave it. We like a lot of meat in our soups at my house. That why I add the stew meat along with the oxtail. 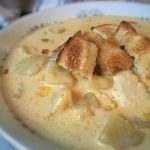 Serve this amazing soup with Easy Homemade Artisan Bread, Feather-Light Dinner Rolls, or Homemade Buttermilk Biscuits. 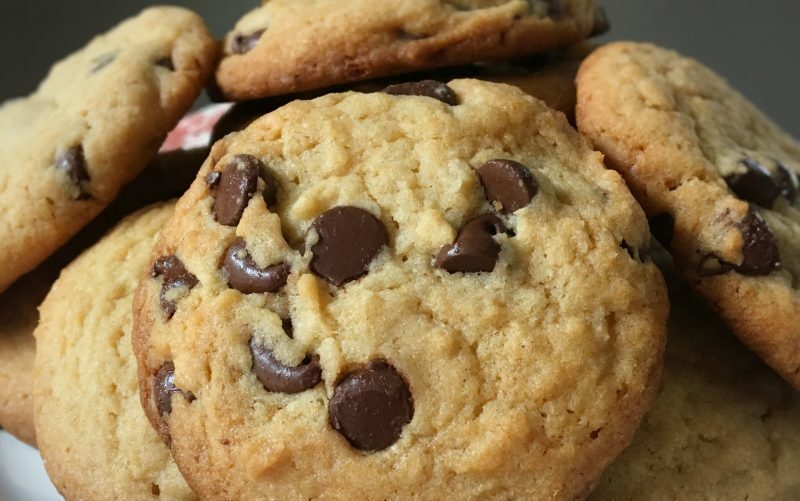 Malted Chocolate Chip Cookies follow this meal beautifully. 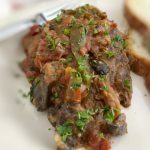 I hope you enjoy Slow Cooker Oxtail Stew. 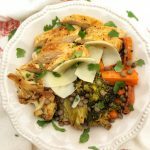 It’s a rather special dish that’s fun to serve and rather appealing to the eye. Have you ever eaten it? Let me know in the comments below.